“…Are you called to serve women? We hope you’ll explore our newly expanded website and consider it a resource that you can refer to frequently as you serve in your women’s ministry. Our vision is to provide encouragement and inspiration to those who serve in women’s ministry, particularly those in smaller churches. 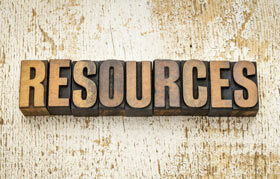 We now have the capability to offer downloadable resources as well! Weekly blogs address issues of particular interest to those planning a women’s retreat or women’s event. If you subscribe, these weekly updates will be delivered to your email. In addition, we have added resources for your use – and we will be continually adding to these. These resources include skits we have written, quiet time studies, graphics and forms which are yours to download and use. Our hope is that this website will encourage you to step out and try something new for your women’s ministry! 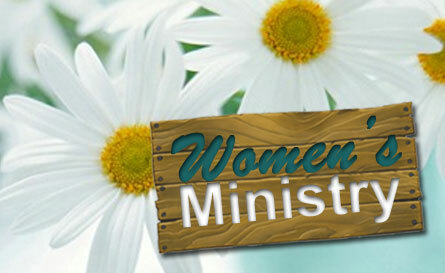 RetreatInABag.net aims to encourage those who serve in women’s ministries, particularly those in smaller churches. Our goal is to make information and resources available for women’s ministries that need guidance as they plan their women’s retreats and events. We have free downloadable skits, graphics, quiet time studies and forms available for your use. Explore our available resources or browse through the blog posts for new ideas to inspire creativity and streamline the planning and execution of your next women’s retreat or women’s event. We’d love to also share some of YOUR ideas, if you have a moment to share them with us. These premium resources are meant to inspire and be a starting point to help you create your own unique event. 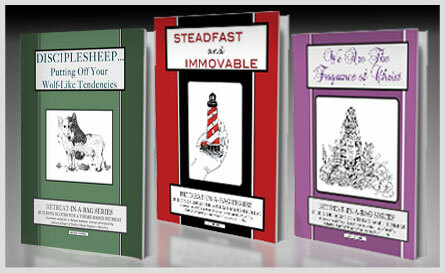 Retreat-in-a-Bag Book Series Each of the three books in the Retreat-in-a-Bag book series contains everything you need to plan and execute your own theme-based Christian retreat. From the foundation and framework of the event to the necessary building blocks and specific resources (including theme verse, skit(s), graphics, a Bible study, suggestions on theme-related teachings, decorations and retreat remembrances), the book is a comprehensive handbook for retreats from beginning to end. Retreat-in-a-Bag Retreat Guides Each Retreat-in-a-Bag Retreat Guide includes only theme-related resources: theme verse, skit(s), graphics, a Bible study, and suggestions for theme-related teachings, decorations and remembrances. General planning information is not included. Skits can be an entertaining way to reinforce your event theme while illustrating applicational truths in a humorous manner. Retreat-in-a-Bag offers free downloadable skits for use. Our premium resources (books and guides) also include skits. 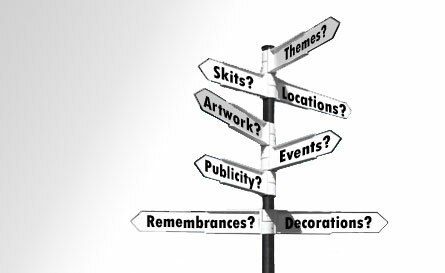 In addition to skits, we offer free downloadable graphics, quiet time studies, forms and recommended reading lists. Whether you’re a small or large women’s ministry, it helps to have inspiration and guidance for your retreat planning. These books and guides offer theme verses, skits, graphics, short theme-related Bible studies and more! 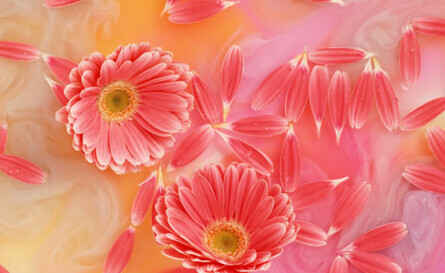 Have You Visited the Website Recently?